Eli Benhamou stands outside of the Merrick building every day, tempting passersby with the scent of shawarma spices. His thick, silver beard, yarmulke and warm eyes are recognizable from the seven years he spent working as the head of Oasis, the on-campus Kosher deli that was displaced this year. Now, he has welcomed students into the world of the Pita Pad, a new Mediterranean food kiosk located between the Merrick and Ferre buildings. Benhamou is its supervisor – a man who has worked in the food industry for more than 30 years. Although the kiosk is tucked away in a Jurassic Park-esque niche of campus, Benhamou believes that the location has been fruitful. What they’re selling is pita and platters – of shawarma, schnitzel (simply called chicken tenders on the menu), and a variety of salads. These salads include eggplant, red cabbage, hummus, tahini and tabouli. 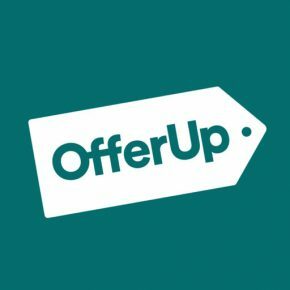 Prices range from $6.99 for a veggie pita to $14.99 for a chicken tender plate. Also present are potato knishes (these run out fast), muffins, chocolates and candies. 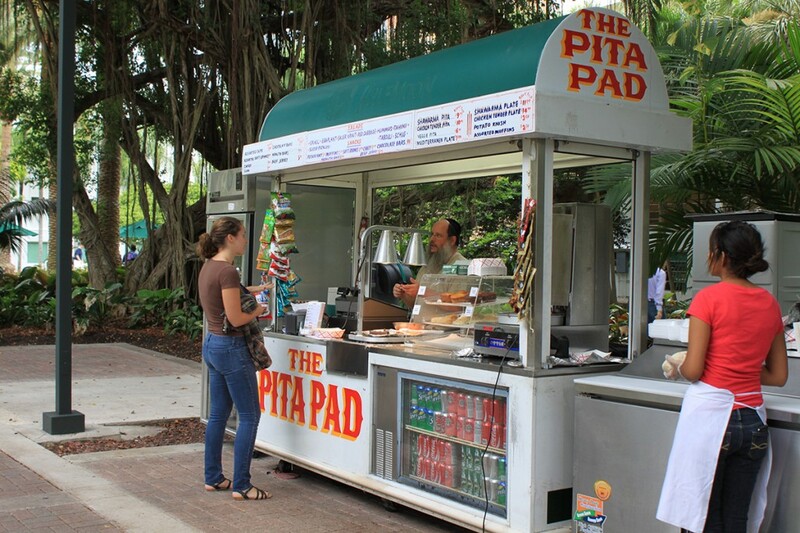 The Pita Pad is Kosher – a religious dietary regiment that Benhamou himself has observed his whole life – and is supervised by the Chabad at the University of Miami. Benhamou has gained prior experience with applying Kosher dietary laws in a commercial setting by working as a Kosher rabbi on cruise ships. Despite the fact that the Pita Pad, like all on-campus dining options, is sponsored by food service company Chartwells, eating at this kiosk feels very personal. The Pita Pad essentially markets itself with the potent scent wafting from the shawarma grill. The meat rotates on a vertical rotisserie rod and is marinated in 12 spices for 24 hours before portions are stripped for each student. Customers can also select every salad item and sauce that goes into their pita or platter. Then, the meal is prepared in front of them by Benhamou and his assistant. Senior Berna Berk, who has eaten at the Pita Pad four times now, said she identifies with the new dining option because of her ancestral origins. However, Benhamou emphasized that the Pita Pad is about more than catering to Kosher students on campus or any one specific culture. Because the food is delivered to campus daily, he says it can be an appealing fresh option for anyone. “Our motto is to provide fresh and good-tasting food for all students, and we’ve been very successful here thus far,” he said. This can be seen in Pita Pad’s wider appeal, including for vegetarian students. Junior Smitha Vasan, ordering a meal at the kiosk, said that she came because she has always liked Mediterranean food and had recently heard about it. The kiosk opens at 11 a.m. Monday through Friday and closes at 7 p.m. every day except for Friday, when Benhamou closes up shop at 3 p.m. in observance of the Sabbath. If you are interested in part-time advertising work for the Pita Pad, email eli.benhamou@gmail.com for more information.